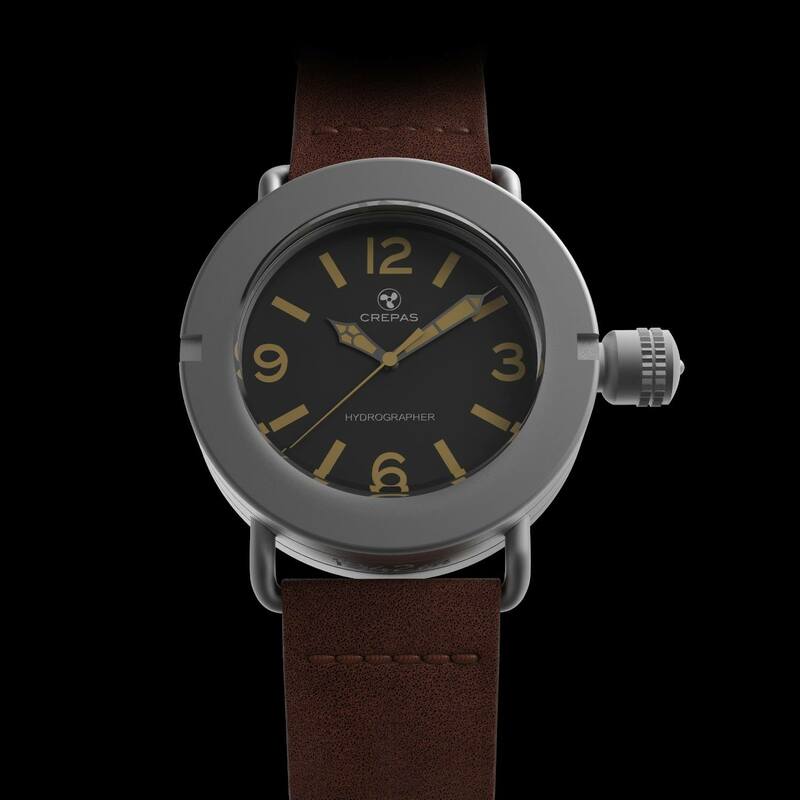 one of three finishes that also includes; brushed and polished. 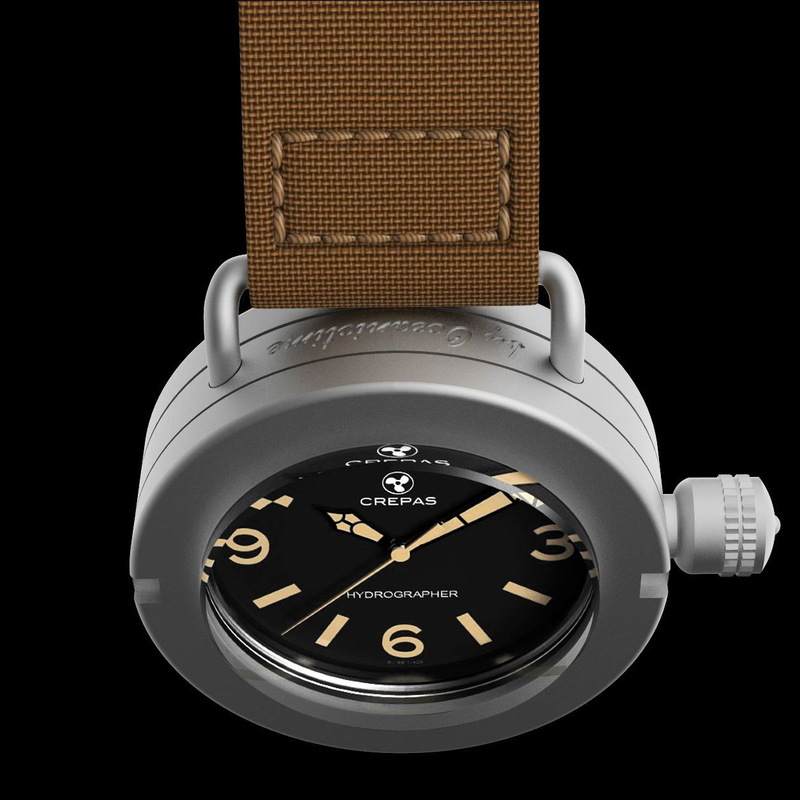 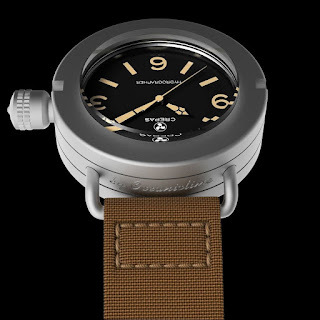 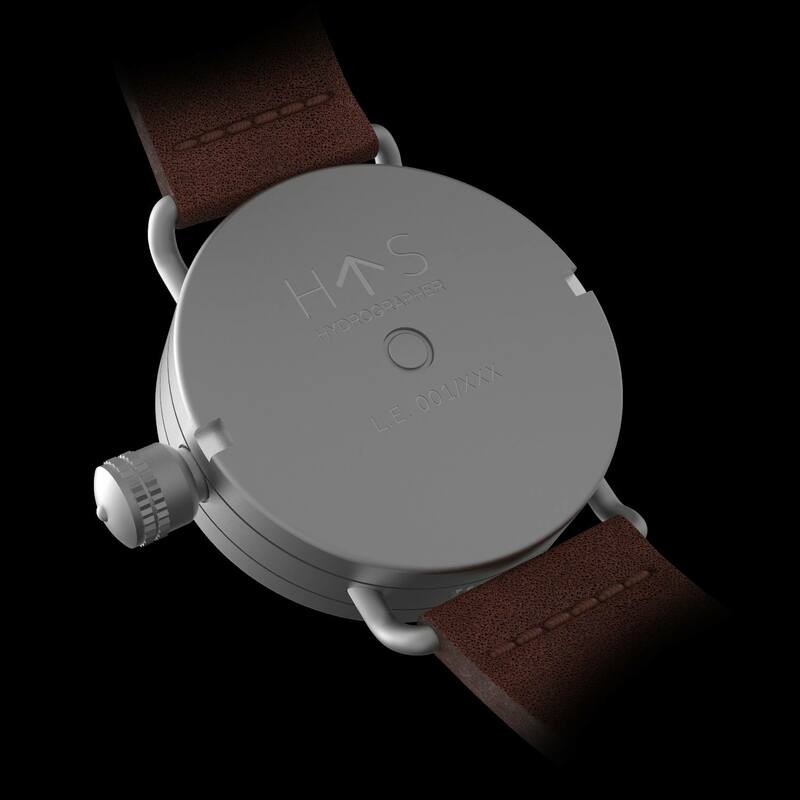 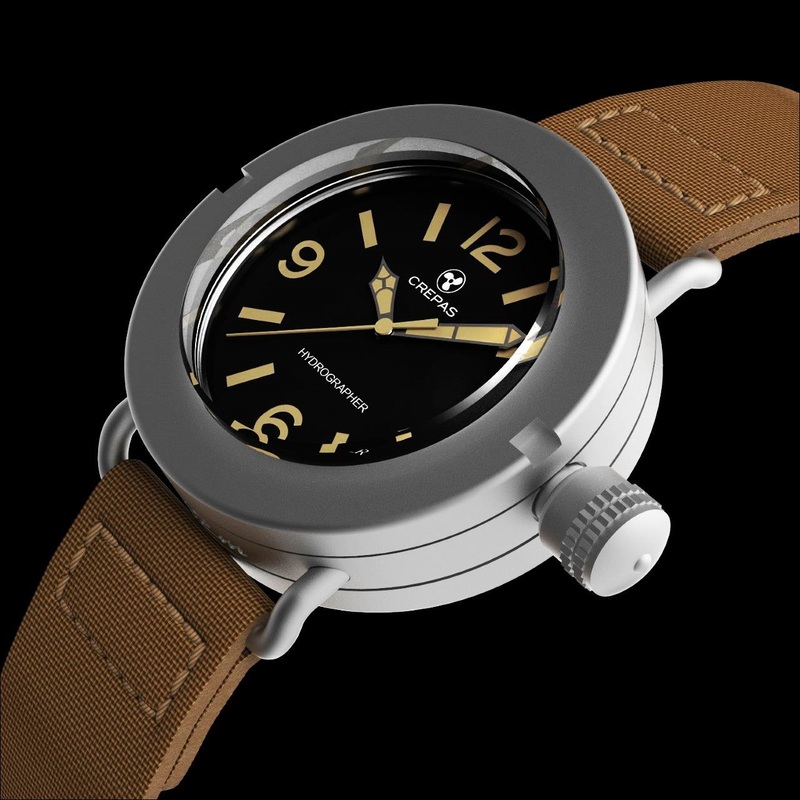 The Hydrographer is presented here on its two planned straps in either leather or fabric. 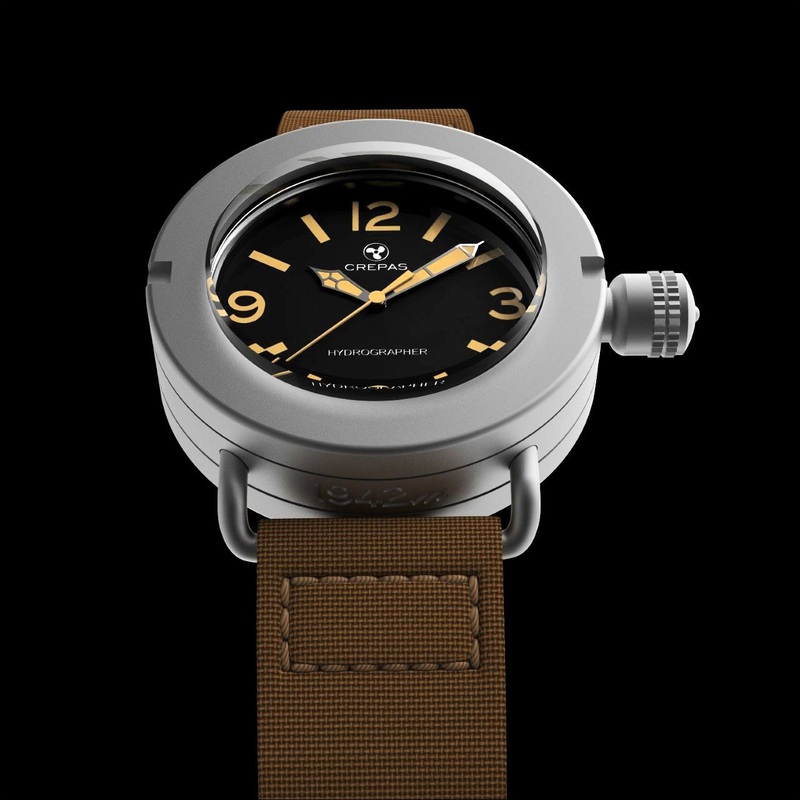 Special features include: a sterile unidirectional divers bezel with two notches. 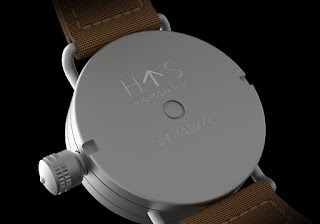 Specially engraved text can be found between each of the lugs. These notches are echoed on the case-back along with a unique rear mounted Helium Escape Valve. 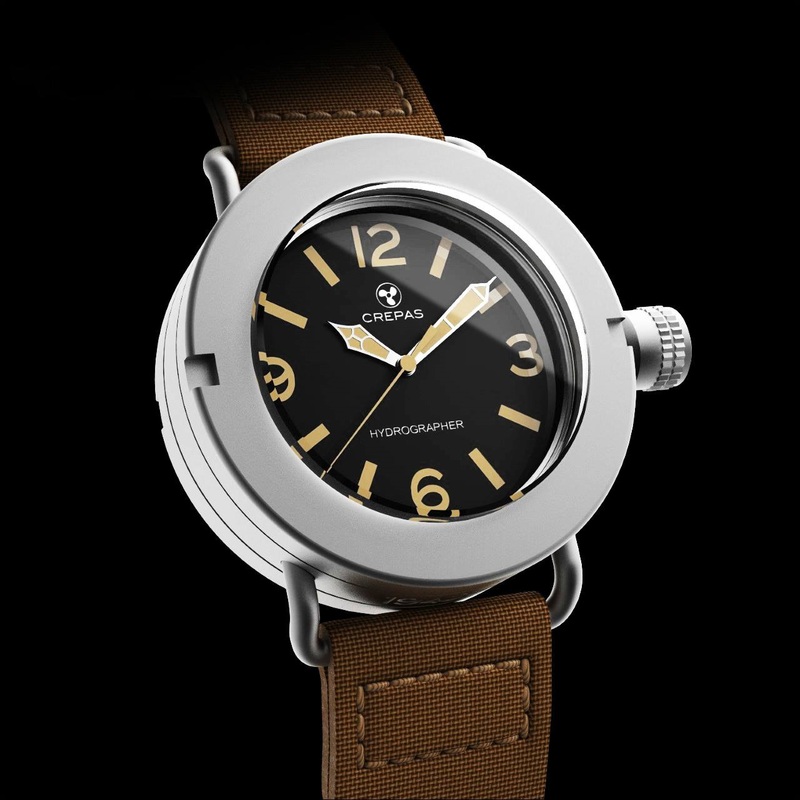 and an ETA 2892-A2 Swiss mechanical movement. You can read the full story Hydrographer story, HERE & HERE. 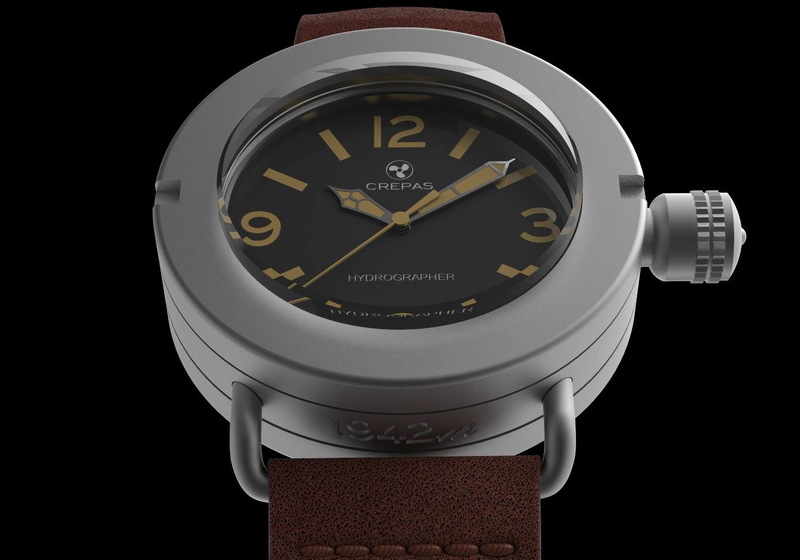 Do something historic; pre-ORDER your CREPAS Hydrographer by OceanicTime.